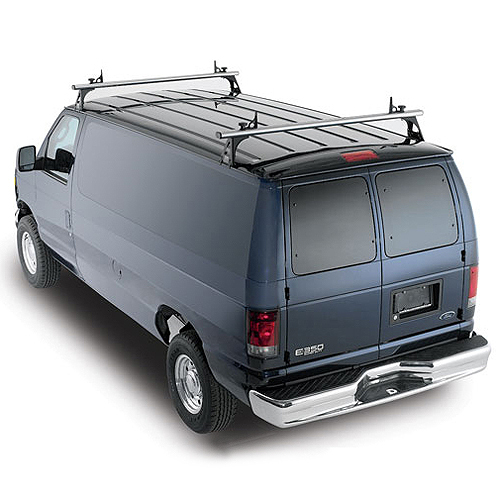 TracRac's slick looking 2 and 3 bar aluminum van racks for traditional van body styles are as tough as they are good looking. Carry ladders, lumber, conduit, piping or just about anything else that won't fit comfortably inside your van. 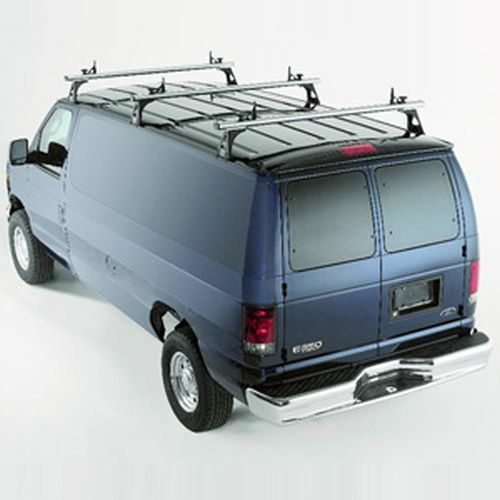 TracRac 2 Bar Van Racks carry up to 500 pounds of materials and ladders. TracRac 3 Bar Van Racks carry up to 750 pounds of cargo. All TracRac Van Racks feature no-rust aluminum construction with dual stage powder coating to resist wear and match the quality of your pickup truck's paint finish. The aerodynamic TracRac Van Racks will last the life of your vehicle and beyond. TracRac's Limited Lifetime Warranty stands behind that promise. TracRac Van Racks include 4 Sliding Aluminum Load Stop Tie Downs, all installation hardware and instructions.